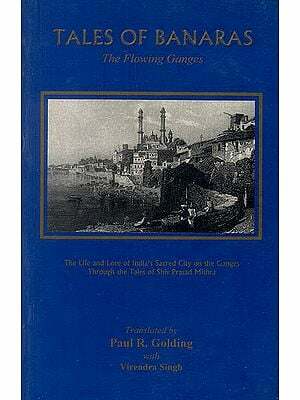 The Indian people adore the Ganga, not only because like any other great river of the world she holds out manifold vital and economic utility, but because her very Name evokes in the Indian heart, most inspiring associations. Through the Indian centuries, the sacred Ganga has housed on her bewitching and enchanting banks, thousands of saints, sages, Yogis, Rishis, men of contemplation and supernormal powers. She also carries legends and myths about herself that evoke wonder, inspire a sense of sanctity, and compel even the most rational person conceive a sense of sacredness for her. The highest Indian aspirations, piety, ceremonies are bound up with the very name of the most beautiful river Ganga that takes Her origin right in the splendid snows and icy regions of the interior Himalayas, and courses through the plains of India, into the Bay of Bengal. Laboratory tests have conclusively proved the unique properties and the extraordinary value and uses of the water of the River Ganga. The endearingly cold, pure, sweet, germicidal water of the Ganga is rich in such minerals that purify as well as nourish the human body. 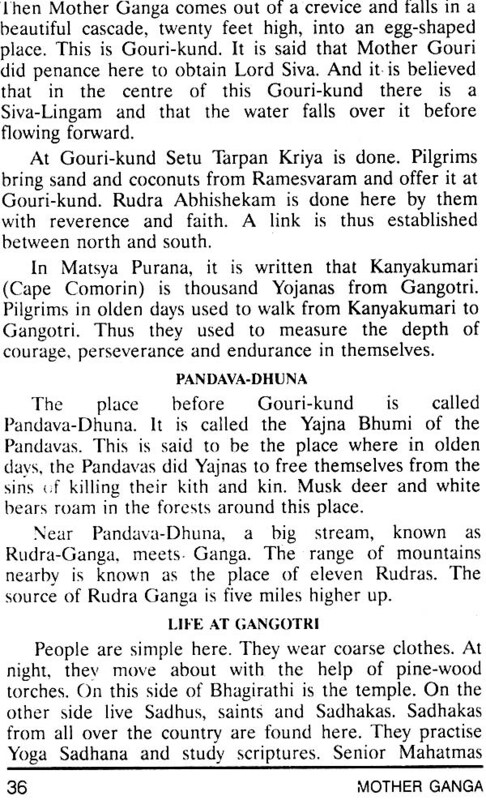 While every Hindu adores the Ganga, Swami Sivananda's love for her is unprecedented. He had been clinging to a small set of rooms on the bank of the Holy River for more than three decades, only because from there he could commune with the Mother always, day and night. 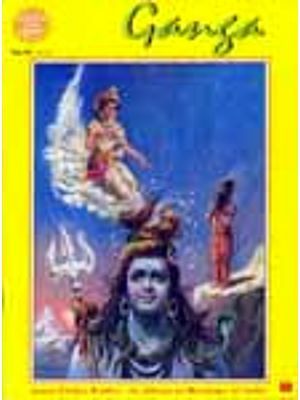 This book is bound to inspire in the reader a new love, a new veneration for Jahnavi, for Bhagirathi, for Holy Mother Ganga that sanctifies the Punya Bhumi of Bharatavarsha. The first edition of this book was brought out in 1949. Much new material had now been added. 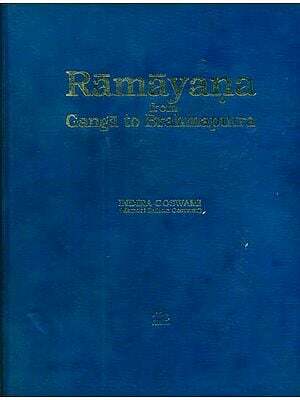 The 'Sri Ganga Sahasranama Stotram' has also been included in the present edition. We hope this book, in its present form, will be warmly received by the public. It was divine dispensation and the blessing of God upon mankind that the doctor of body and mind renounced his career and took to a life of renunciation to qualify himself for ministering to the soul of man. He settled down at Rishikesh in 1924, practiced intense austerities and shone as a great Yogi, Saint, Sage and Jivanmukta. In 1932 he started the Sivanandashram. In 1936 was born The Divine Life Society. In 1948 the Yoga-Vedanta Forest Academy was organized. Dissemination of spiritual knowledge and training of people in Yoga and Vedanta were their aim and object. In 1950 he undertook a lightning tour of India and Ceylon. In 1953 he convened a 'World Parliament Reliogions'. He is the author of over 300 volumes and has disciples all over the world, belonging to all nationalities, religions and creeds. To read his works is to drink at the fountain of Wisdom Supreme. On 14th July, 1963 he entered Mahasamadhi.